To thrive in this era of increasing volatility and unpredictability, leaders must deepen their personal and organisational capacity to sense into the emerging field of future possibilities, while unlocking the creative potential of the organisation. This requires a widening of our perceptual horizon from old habitual patterns of management and control to a more conscious sense of what it means to create and deliver value in an increasingly interconnected, digitised, fast-moving world. 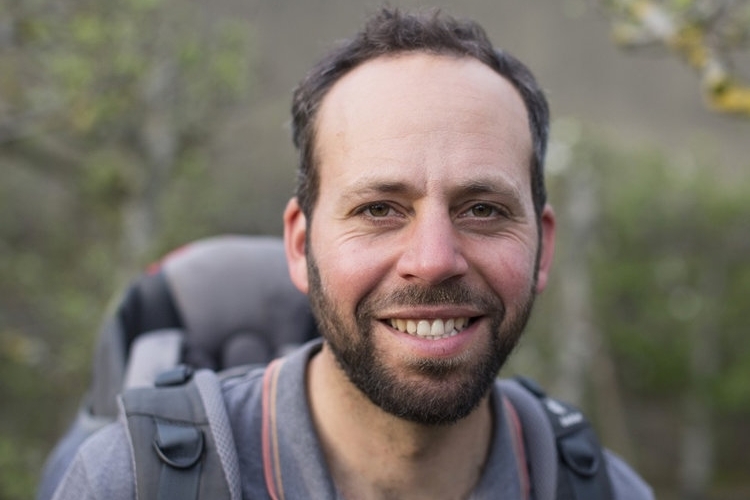 Facilitated by Giles Hutchins and Andy Raingold, this two day immersion will explore and embody Future Fit Leadership – leadership inspired by nature, nature’s living systems and our shared humanity. 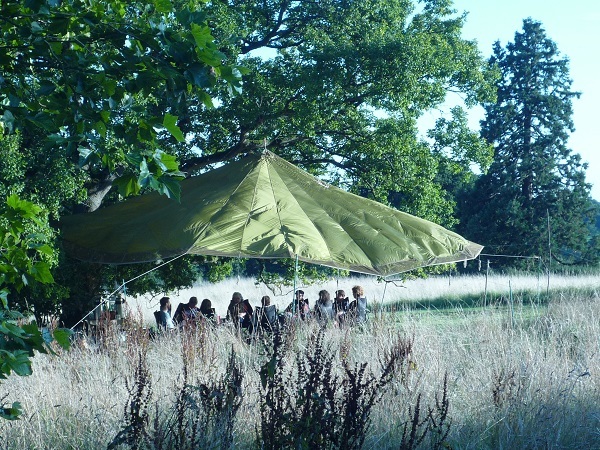 It will include nature explorations, leadership workshops, facilitated discussions, private reflections, peer-to-peer sharing and an overnight solo on the longest day of the year - helping you discover how your leadership can transform in the months ahead. It is a special time and space for you to work with a small, exclusive group of like-minded professionals who also intuit that more of the same is no longer enough and who are ready for transformative change. The safe and sacred space will provide you with the canvass, the inspiration, and the permission to open yourself up to deep learning, fresh thinking and new perspectives. what is future fit leadership? Diverse stakeholders to come together, connect, share and spark off each other – people from different silos across an organisation and from different stakeholder communities beyond an organisation. In celebrating this diversity and the tensions and differences it brings, we harness yet more creativity, insight and possibility for synchronicity. You will leave with tools, techniques and practices that help to provide these spaces - including mindfulness, deep listening, way of council (where people come together to share within a communal atmosphere of non-judgment and acceptance), artful interventions and empathic communication. Giles is a pioneering practitioner, keynote speaker and executive coach. He applies over 20 years of business experience to provide advice and insight on the emergence of a new logic in business. 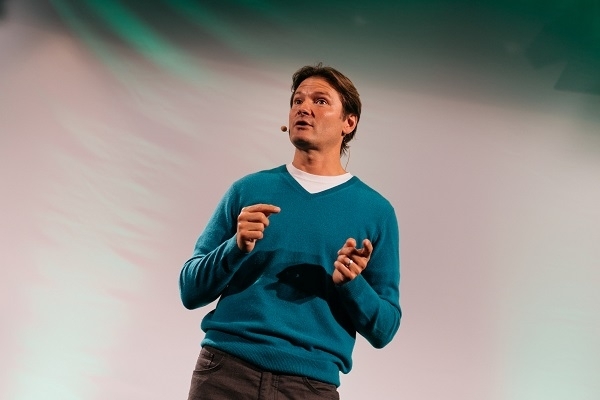 Previously Global Head of Sustainability for the multinational technology provider Atos, and Business Transformation Lead for KPMG Consulting, he is also co-founder of Biomimicry for Creative Innovation and Chairman of the Future Fit Leadership Academy. He is author of three books: The Nature of Business (2012), The Illusion of Separation (2014) and Future Fit (2016). Andy is a coach, speaker and expert facilitator. He hosts nature awareness, leadership, sustainability and mindfulness retreats and workshops, to bring about transformative change. He has trained extensively in these areas with Cambridge University, Schumacher College, The Living Leader Programme and Sussex Wildlife Trust. He works with professionals, businesses, charities, colleges, private clients and children. He also offers his skills internationally, and in 2017 ran a 2 month programme with indigenous communities in Namibia and a 2 week retreat for a "nomadic classroom" in the wilds of Sweden. Previously, he was Executive Director of the Aldersgate Group, working with CEOs, Government Ministers and thought leaders to drive action for a more sustainable world. where is the immersion TAKING PLACE? 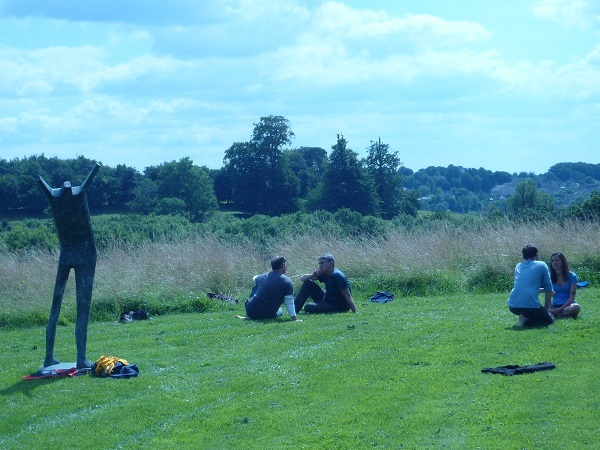 The location is a beautiful, secluded and exclusive private estate and sculpture park in the Cotswolds - a nature reserve that is an area of outstanding natural beauty and includes lakes, ancient beech woodland and wild flower meadows. The nearest train station is Stroud.